The new think tank Agora Verkehrswende has come up with 12 theses for an energy transition in transportation, and Germany’s environmental Agency (UBA) has published its ideas about the “city of tomorrow.” There is a consensus in the sales pitch, as Craig Morris explains. Last year, I wrote about the founding of Agora Verkehrswende (the latter word meaning “transportation transition”) and wondered specifically if the sister organization of the think tank Agora Energiewende would take a truly holistic perspective – or merely come up with policy changes to rescue German automakers, thereby focusing on industry policy rather than environmental policy. By email, spokesperson Fritz Vorholz reacted to my article at the time by assuring me his organization would be holistic. With the publication of its 12 theses, we can now see what that approach looks like. Unfortunately, there is still no English version of the text, and space requirements prevent me from listing all 12 theses here, but suffice it to say that the list is pretty impressive. 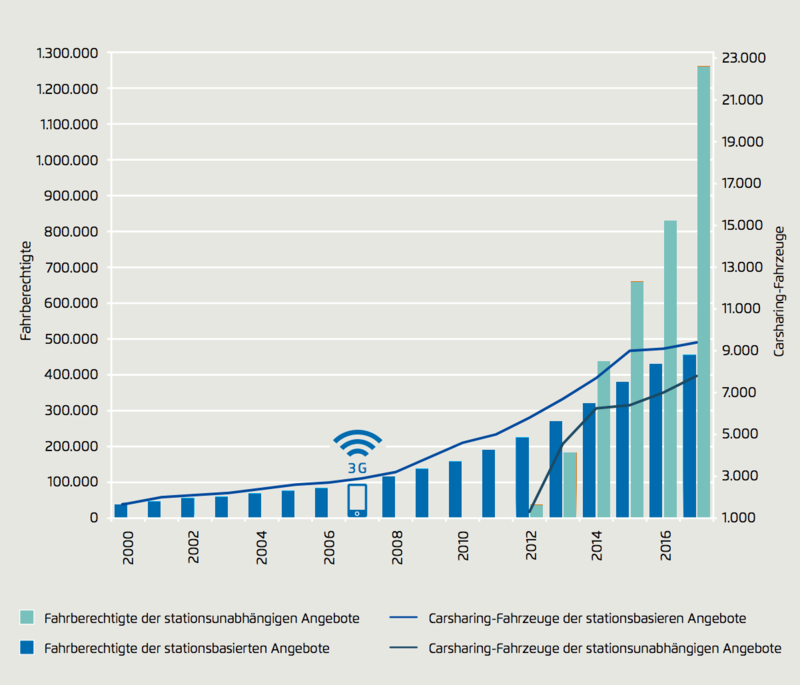 The first thesis – “a transportation transition will succeed with a mobility transition and an energy transition in transportation” – isn’t exactly poetry (at least, not in my translation), But it indicates the two-prong proposal: changes in both behavior and technology. In contrast to urban planning in the 1950s and 1960s, cities are now (finally) being developed with people, not cars, in mind. As Agora puts it, “attractive cities are not made for cars.” Nowadays, successful cities focus on public transportation, bike lanes, bike sharing schemes, and car sharing. But the selling point is not just protecting the environment and the climate, as the paper points out, but making cities more enjoyable to live in. The 12th thesis reads: people are going to change their behavior because of the benefits. In rural areas, cars will remain dominant, but new technologies will allow fleets to be used more efficiently, including buses for public transportation. Systems are being developed that will allow people to indicate in advance that they would like to travel from point A to point B, and public transportation providers can use this information to schedule routes intelligently to keep service provision profitable. 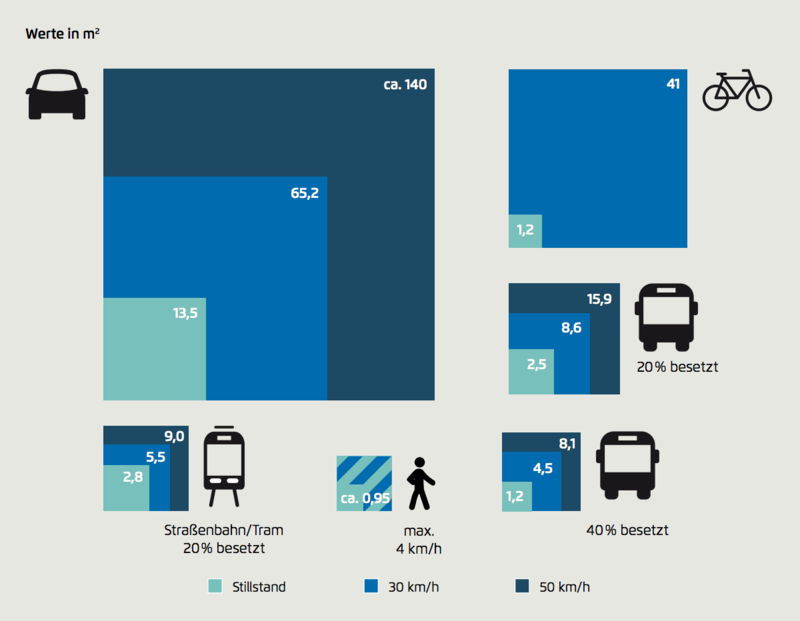 The UBA’s new paper (PDF in German) obviously has a narrower focus on cities alone, but the environmental agency also highlights the benefits as selling points: you will want to walk more because more things will be conveniently located nearby. Both organizations also emphasize that cities will be cleaner with fewer of today’s cars. One major question not dealt with in Agora’s generally comprehensive study is how many cars will be needed in cities of the future. The UBA has an answer: a third as many in towns with at least 100,000 inhabitants. The German average for cities of that size is currently around 450 vehicles per 1,000 inhabitants, but the UBA believes that number could drop to 150 vehicles if they are shared. In contrast, Agora highlights the risk that self-driving cars may make traffic worse if people switch from public transportation. Obviously, policymakers have to steer the market in the right direction. The next time you are on a city street, imagine it with two thirds fewer cars, most of which you can rent at short notice using your cell phone – but you will probably want to walk or take a bike anyway to enjoy the vibrant city first-hand. It’s not hard to understand why this vision is more attractive than the cities we have today. Although written in German, Agora’s preface ends with a sentence in English. The organization hopes that readers will say: “The Verkehrswende is about to complete the success of the Energiewende in Germany.” To be sure, both studies make a clear case for a mobility transition, but the energy transition will not be complete without the heat sector, which still makes up the greatest share of carbon emissions and fossil fuel consumption in Germany. Unfortunately, at the end of March, the German government failed to agree on a package to promote efficiency and renewables in the heat sector – just as Agora and the UBA were publishing their important contributions to the transportation transition. 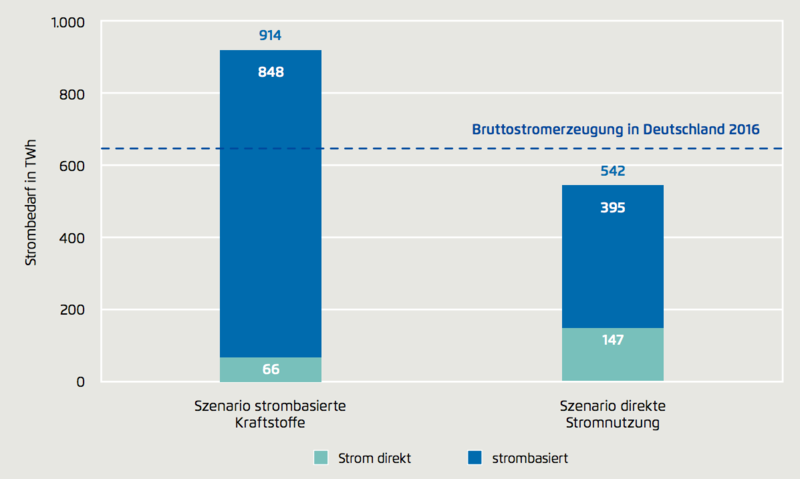 Berlin’s coal exit will also help to reduce traffic, 5 “Schubverbaende” (coal cargo ships) with 5,000t of lignite per day transported into Berlin’s last lignite coal power plant will cease work in 3 weeks. The remaining hard coal power plants will meet a similar fate until 2020, hard coal is transported by train into Berlin. No link supplied! Tut tut. The Agora study is at https://www.agora-verkehrswende.de/fileadmin/Projekte/2017/12_Thesen/Agora-Verkehrswende-12-Thesen_WEB.pdf. There is one way in which the well-connected think-tank is acting to protect the German car industry. The 12 theses do not include anything on health, nor refer to the fact that ICEVs- and especially diesels – **are killing tens of thousands of Germans every year** from air pollution. In London, the death toll (ca. 10.000 a year) is widely known and a key driver of decarbonisation. But it wouldn’t do to raise the spectre of “Nestlé tötet Babies”.